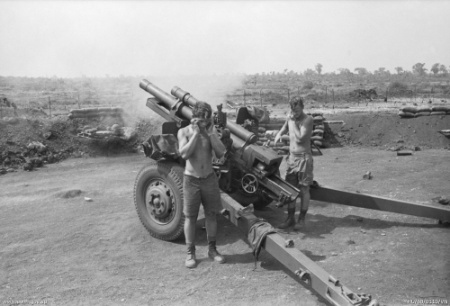 Operation Coburg was an Australian military action during the Vietnam War. 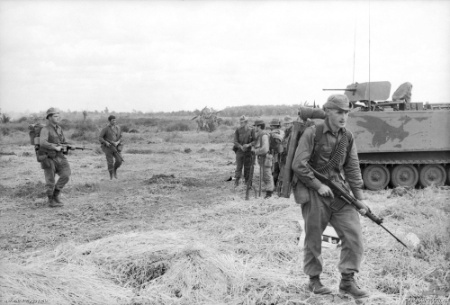 The operation took place between 24 January − 1 March 1968 and saw heavy fighting between the 1st Australian Task Force and North Vietnamese Army and Viet Cong during the wider Battle of Long Binh-Bien Hoa. 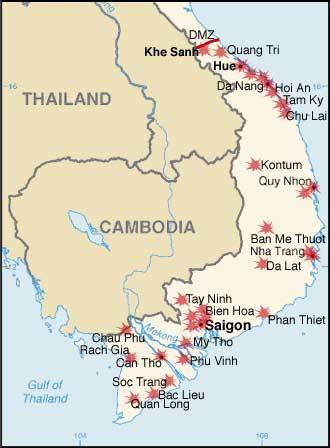 American and South Vietnamese intelligence reports had indicated that an imminent communist offensive during the Tet New Year festival was likely, and in response the Australians were deployed away from their base in Phuoc Tuy Province to bolster American and South Vietnamese forces defending the Long Binh-Bien Hoa complex north-east of Saigon. 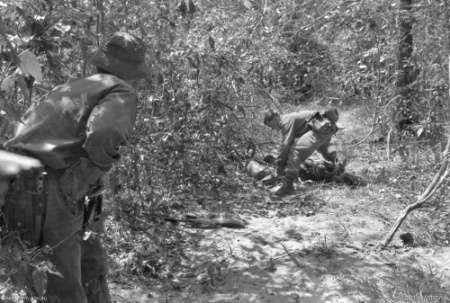 1ATF deliberately established fire support bases astride the communist lines of communication in the vicinity of the village of Trang Bom, expecting that they would attempt to destroy them. 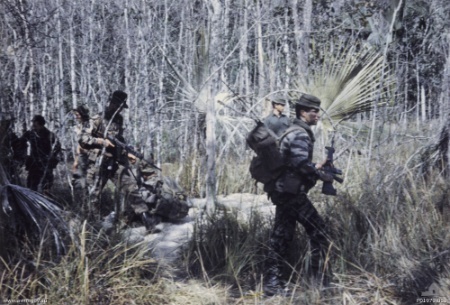 The Australians subsequently clashed with the Viet Cong during early patrols in AO Columbus, while later FSB Andersen was repeatedly attacked by major ground assaults. 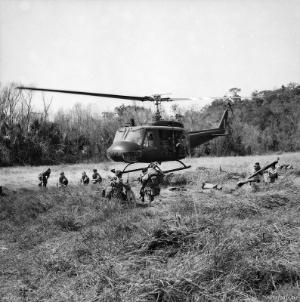 Although the operation was mounted too late to prevent the attacks on Saigon, the Australians successfully disrupted the communist lines of communication, limiting their freedom of manoeuvre to attack the Long Binh-Bien Hoa complex, while they were also able to successfully interdict their withdrawal, causing heavy casualties. The operation was also significant as it was the first deployment of 1ATF outside its Tactical Area of Responsibility in Phuoc Tuy, and in this it set a precedent for later operations outside the province. 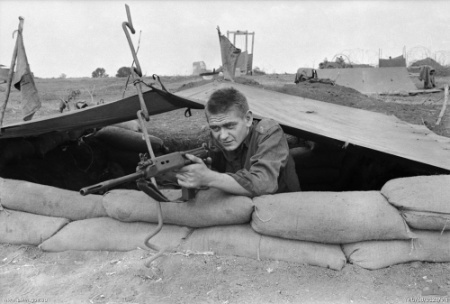 Meanwhile, the remaining Australian forces in Phuoc Tuy Province also successfully repelled repeated Viet Cong attacks against Ba Ria and Long Dien, as part of the Tet Offensive that engulfed population centres across South Vietnam. Op Coburg commenced on 24 Jan 68 with less than 24 hours warning. Two FSBs were involved in the Op; FSB ANDERSON at YT2012 and FSB HARRISON at YT1617, both in BIEN HOA province. ANDERSON was occupied for 24 hours by 106 and 108 Bty and these were put on Regt Grid. The initial plan had been to provide theatre grid for HARRISON by a traverse from CHAU CHAN (YT6010) into HARRISON. However, over the distance involved, about 50 km the haze was too thick to provide a line of sight. When the svy was completed 31G was again deployed and the Svy Sect Comd worked as a duty officer in the Regt CP. This is not a normal practice, but it was to help out RHQ who were at this stage down to two officers only.